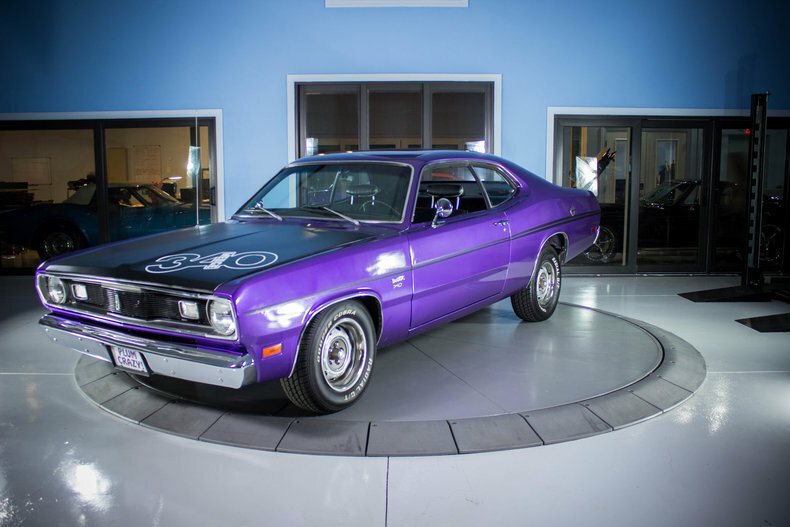 The original Plymouth Duster is a semi-fastback two-door coupe version of the compact-sized Plymouth Valiant automobile that was marketed by Plymouth in the U.S. from 1970 to 1976 model years. The Duster coupe provided the compact-sized Plymouth Valiant with a sporty body style to attract customers. The car was a $15 million effort to update the compact Valiant for the 1970 model year. The Valiant badge appeared only on the first model year Dusters, and continued to be used on all the companion 4-door sedan and 2-door Valiant Scamp hardtop models. 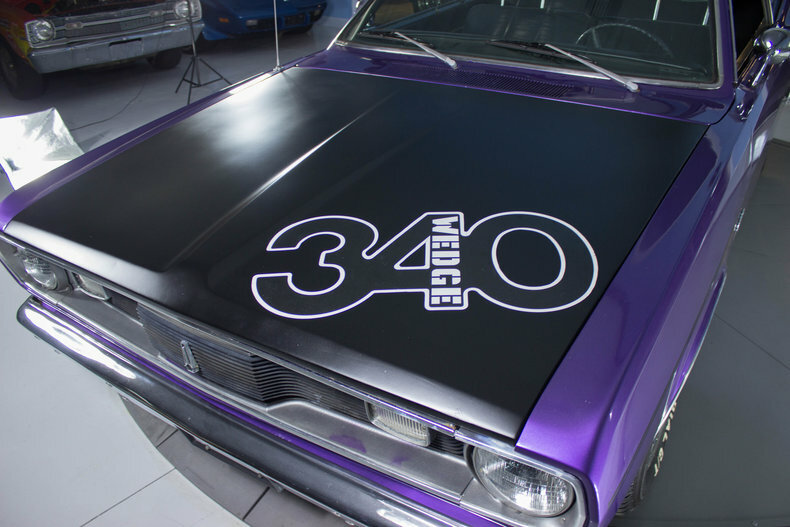 The Duster was built on the Valiant platform and shared the same front end sheet metal, but featured a different design from the cowl back. The Duster was also positioned to compete with Ford's slightly smaller semi-fastback Maverick compact car and the AMC Hornet that were both also introduced in 1970, and the slightly larger semi-fastback Chevrolet Nova whose design was introduced in 1968. While the Maverick and Nova were offered in a 4-door sedan body style, the Duster nameplate was used only for the 2-door coupe. The Duster was also marketed as an alternative to the original Volkswagen Beetle, as well as the new class of domestic subcompact cars such as the Chevrolet Vega. Numerous trim and option package variants of the Duster were offered with names that included Feather Duster, Gold Duster, Silver Duster, Space Duster, Duster Twister, Duster 340 and Duster 360. These marketing variations of the basic Duster design targeted customers seeking economy, cargo capacity, and/or performance. Duster logo was, and still remains, one of the most recognizable automobile logos. Chrysler employee, Thomas Bertsch, created the "twister" logo and font. Many corresponding graphics were used for different trim packages over the years. Bertsch was the director of the interior styling and design studio for much of his career. 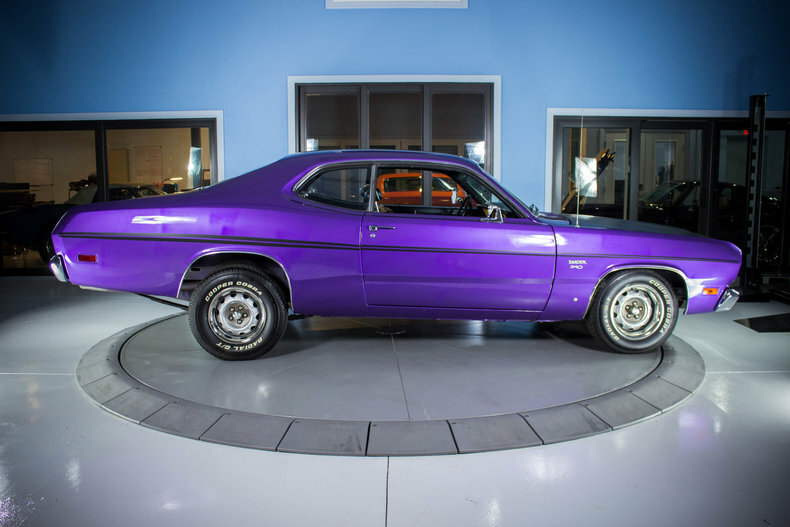 The Plymouth Duster introduced in late-1969 for the 1970 model year was all Valiant from the cowl forward, but the rest of the car's sheet metal, save door skins, was completely different. The design incorporated a semi-fastback roof and a special rear valance with twin horizontal taillights, unusual for having no bezels. The door glass was operated by a new regulator mechanism, required to fit the much more radical tumblehome (reduced side glass radius), and the windshield was more steeply raked. For 1970 only, a small Valiant badge went on the front fenders just above the Duster badge. The 1970 Duster was available in two models, the standard Duster and a performance-oriented Duster 340. 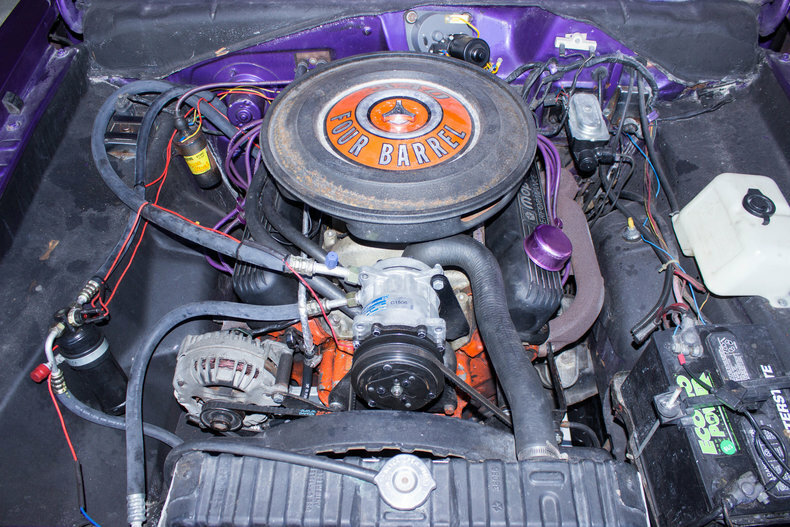 Engine options were 198 cu in and 225 cu in versions of Chrysler's Slant Six, as well as the 318 cu in and 340 cu in LA-series V8s. At midyear, a Gold Duster trim package was added. The Gold Duster package came with either the 225 Slant Six or the 318 V8. It also came with special "Gold Duster" badging, gold stripes on the sides and rear, wall-to-wall carpeting, pleated, all-vinyl seats, whitewalls, wheel covers, a deluxe insulation package, and a canopy vinyl roof. The Gold Duster was offered through 1975. Total sales in 1970 came to 217,192, of which 24,817 were equipped with the 340 engine.